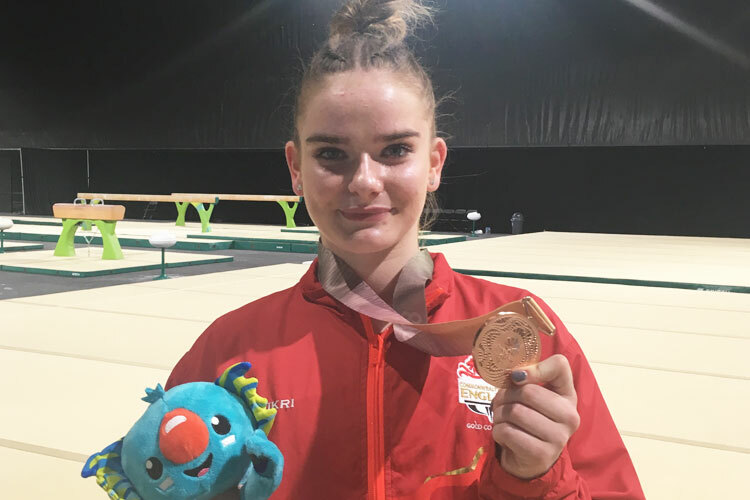 Team Wales placed in 5th with Team England in 6th in the team final on the first day of rhythmic gymnastics competition at the Commonwealth Games in Gold Coast. The day also doubled up as individual qualifying. 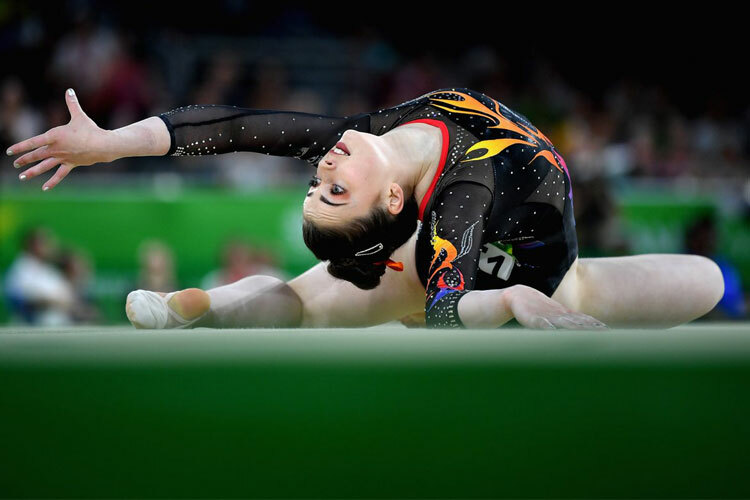 Team Wales’ star gymnast was Laura Halford who qualified in to the hoop, ball, ribbon and all-around finals. 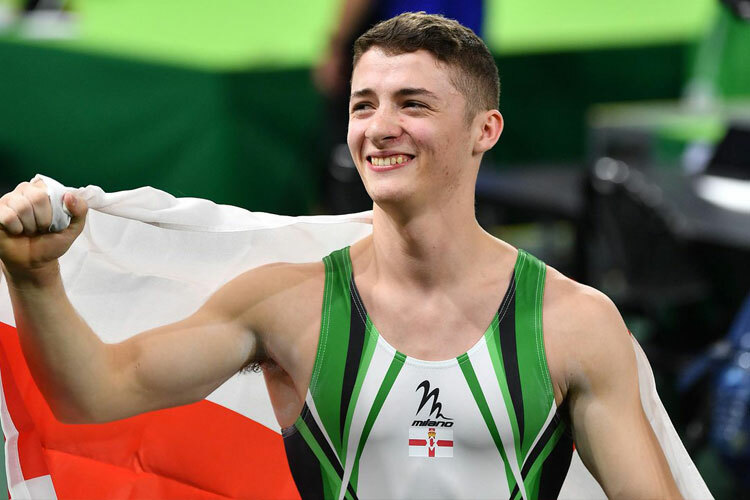 Teammate Gemma Frizelle also qualifies for the hoop and all-around whilst for Team England Hannah Martin made the ball and all-around finals with Stephani joining her in the all-around final. 15 year old Abigail Hanford made a slightly nervy start on hoop first up in the competition for Team Wales but recovered superbly to end well for a score of 7.700. Gemma Frizelle followed up with a beautiful performance scoring 13.400. Last for Wales was four time British champion Laura Halford who showed her class with a 13.600 to get her Games underway. Abigail had to use the spare ball in her next routine but she recovered to finish nicely for a score of 6.850. Gemma put in another superb, well-controlled display with the ball scoring her 11.400. Laura Halford had complete control of the ball throughout her routine delivering a brilliant performance for a superb 12.800 points. With clubs Abigail looked much more confident producing a nice routine for 8.650. Gemma had some errors in her routine scoring her 9.150. Laura again looked composed with the clubs continuing her excellent qualifying for 11.450 points. Abi finished with ribbon scoring 4.900. Gemma Frizelle ended with 10.350 on ribbon to complete her qualifying. Laura Halford completed her excellent competition scoring 11.740 for her ribbon routine. 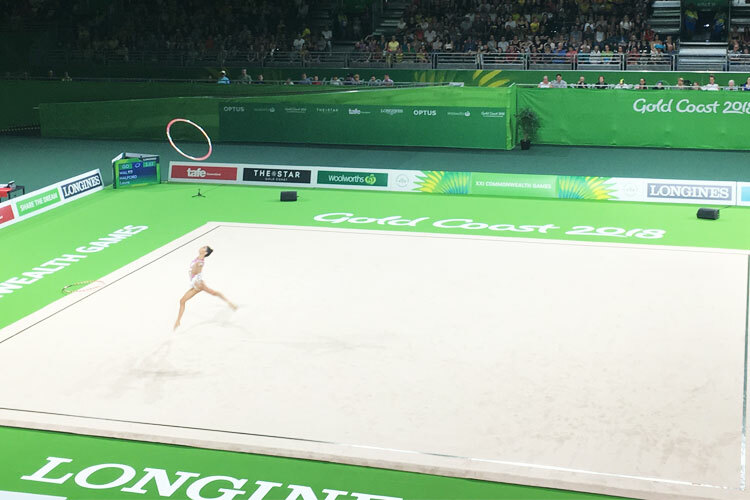 For Team England first up Mimi Cesar impressed the crowd with her hoop routine that was full of confidence and well performed for a score of 11.050. 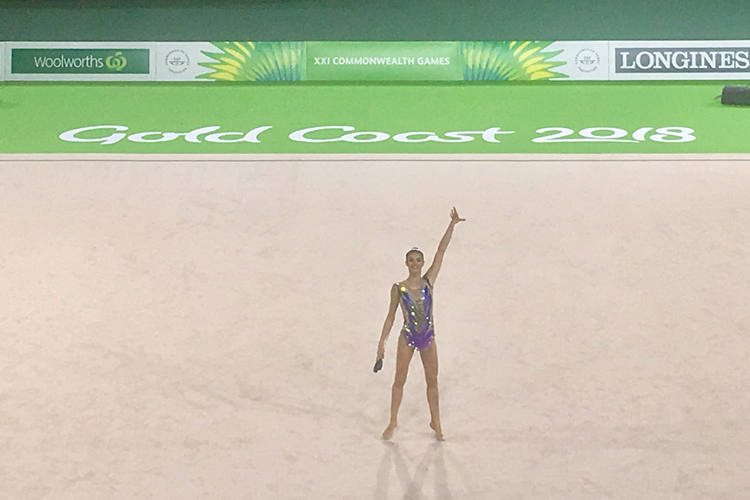 Stephani Sherlock’s high tempo routine was full of difficult skills, two unfortunate errors near the end costing her slightly, though she still scored 11.250. 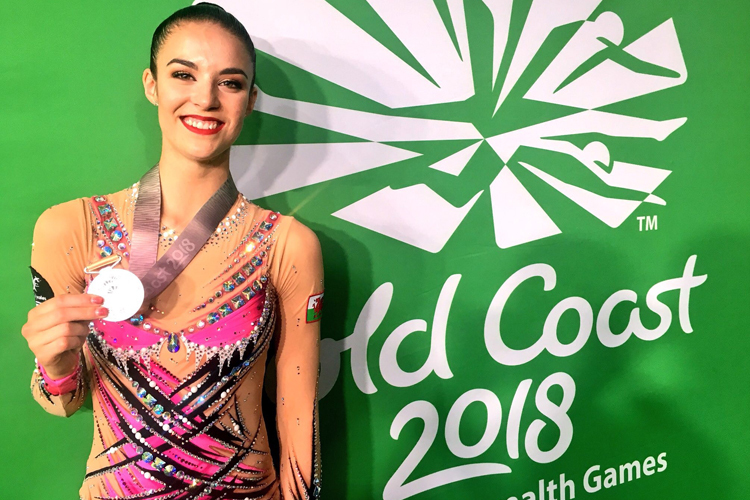 Hannah Martin showed great form in her hoop routine, England’s youngest rhythmic gymnast opening her campaign with 10.850 points. With ball, Mimi performed with drama, her routine engaging the crowd with multiple butterfly leaps to score 10.950. Stephani had a nervy moment early on in her routine but ended with some beautiful work to score 11.050. Hannah Martin continued her confident qualifying with a superb ball routine for 12.300 to take her to the final. Mimi lost control of one club during her routine but otherwise looked strong to score her 9.100. Stephani also had some small errors but also executed some difficultly skills scoring her 10.450. Hannah’s routine was full of energy scoring her 10.100. With ribbon Mimi once again showed her trademark dramatic performance and scored 10.050. Stephani matched Mimis score with a 10.050 and have a salute to the England fans as she left the floor. Last up for Team England Hannah Martin performed nicely with a smile on her face scoring 10.450. Full results can be found off the official event website.